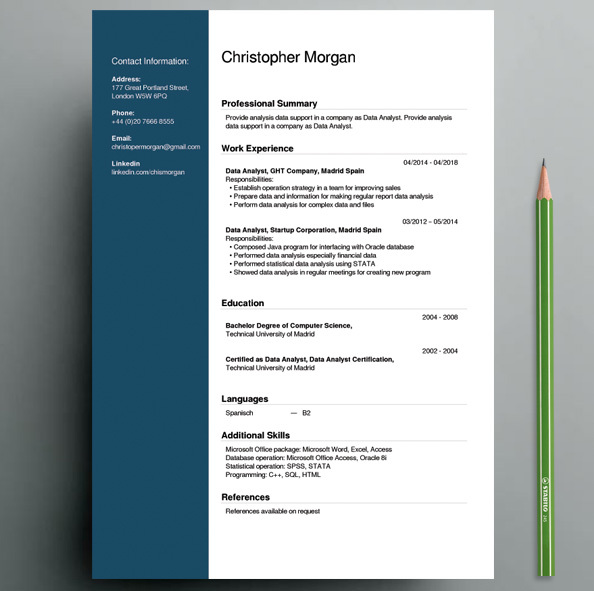 How many pages should a perfect CV contain? Actually, there are no formal limitations as to the number of pages that a CV should fit. Two theories are in competition – one says that it’s always the best option to limit your CV to one page, while the other promotes the idea of standing out by increasing the number of pages to two. If dozens or hundreds of people respond to a job advertisement, a recruiter does not have patience to read each and every application. They devote several seconds to each CV. It is only when they find a given resume interesting that you can expect greater attention. However, too much irrelevant information will discourage a recruiter. 1. A one-page CV is a nod in the direction of recruiters. It allows for a quick analysis of the content. One page promises a recruiter a time-saving lecture and attracts their attention. 2. It has a function of „an advertising leaflet” – it synthetically informs about a candidate’s professional profile. 3. It’s particularly useful for graduates and candidates with a few years of experience. CV on 2 or more pages – who is it for? 1. It’s particularly useful for candidates with more than 10 years of professional experience. 2. It allows for a precise, detailed description of competency and experience. 3. When writing longer CVs you need to remember to profile it. Do not write about experience and competency that are not mentioned in a job offer. How „to summarize” your CV? It’s best to prepare a full version CV that contains all the information and then cut out data which are less relevant from a recruiter’s perspective. In this way you will come up with a CV of optimal length ranging from 1 to 2 pages. Use now CV creator free, you'll see this is easy. Page rendered in 0.0218 seconds.